Cross Trainer with Magnetic Brake: The torsion knob for transmission of the flywheel resistance is damaged (for a cross trainer with motor it may also be that the actuator does not work properly). 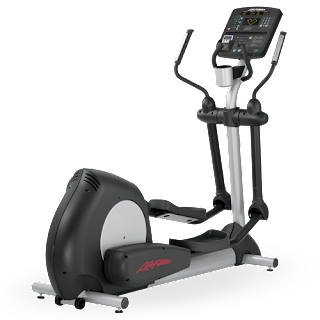 Cross Trainer with Induction Brake: probably depending on computer defect or loose cable. The parameters on the display are not displayed: the cable may be defective, or the sensor or the computer itself is defective and must be replaced. Problems deriving from the pulley: the belt may have been removed from the pulley (to analyze this, it is usually necessary to remove the crank set and often you need a special extractor to remove cranks and analyze the problem inside the unit). The belt may be damaged or broken and should be replaced. Noise from the rollers: the rubber roller is worn or broken or the tracks are worn or not properly cleaned.